Wondering what I've been eating? Read on to find out! ﻿ The first time I gave Baohaus a try was at their original location down in LES. It was a tiny bare-bones shop with barely any seating and no bathroom. 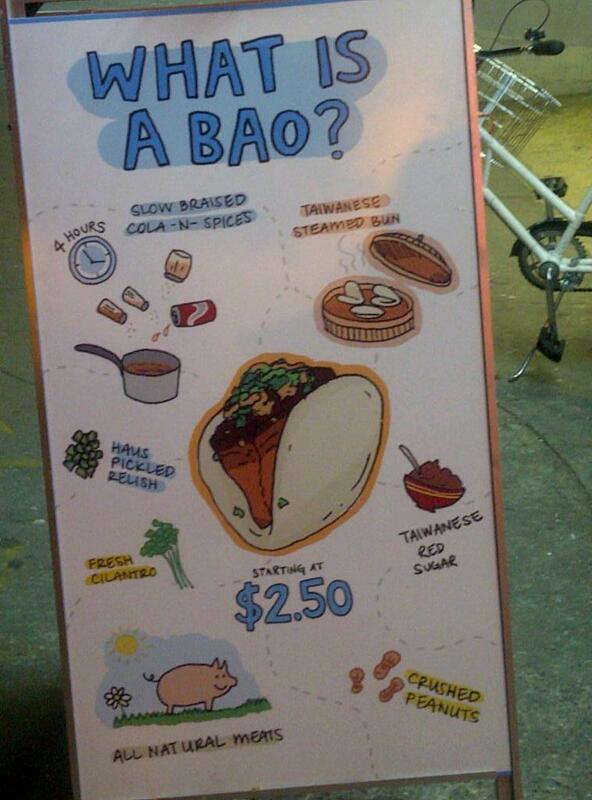 Its prices also made sure that I wouldn’t make the trek down to LES just for a Bao again (even though it was pretty delish). 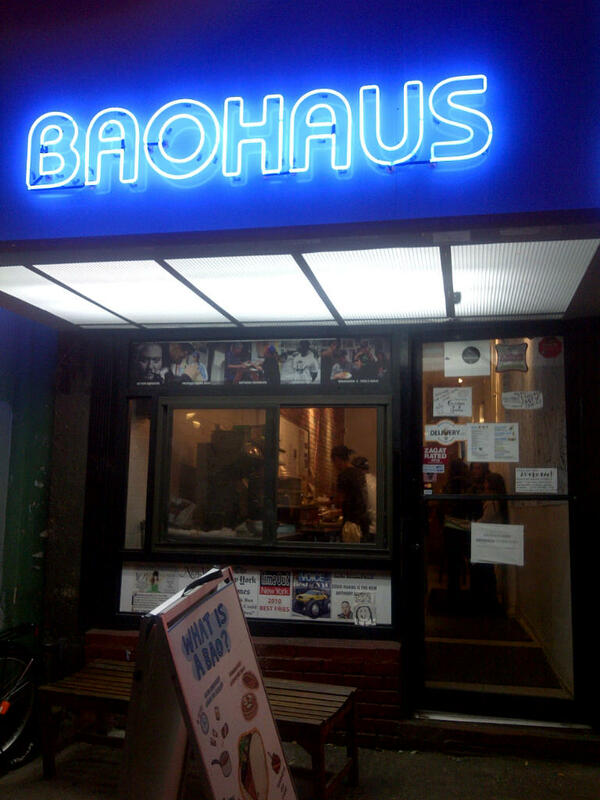 Fast forward a couple years and Baohaus has now opened an outpost in the Union Square/East village area. 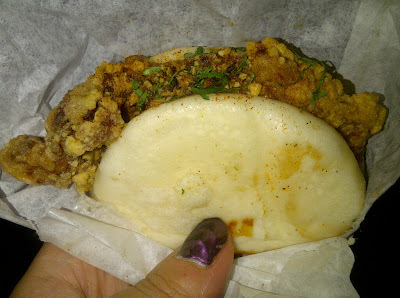 Located less than two blocks away from my apt, Baohaus was screaming for me to give it a re-do. The new shop is outfitted with bright blue fluorescent lights – you can’t miss it. ﻿ The inside is still pretty small and narrow, but the kitchen is an open kitchen on your left-hand side right as you walk in. I love it when I can see the chef’s at work! There is also a small seating area in the back should you decide to stay at eat. Nothing luxurious, but there are a couple tables and stools, etc. 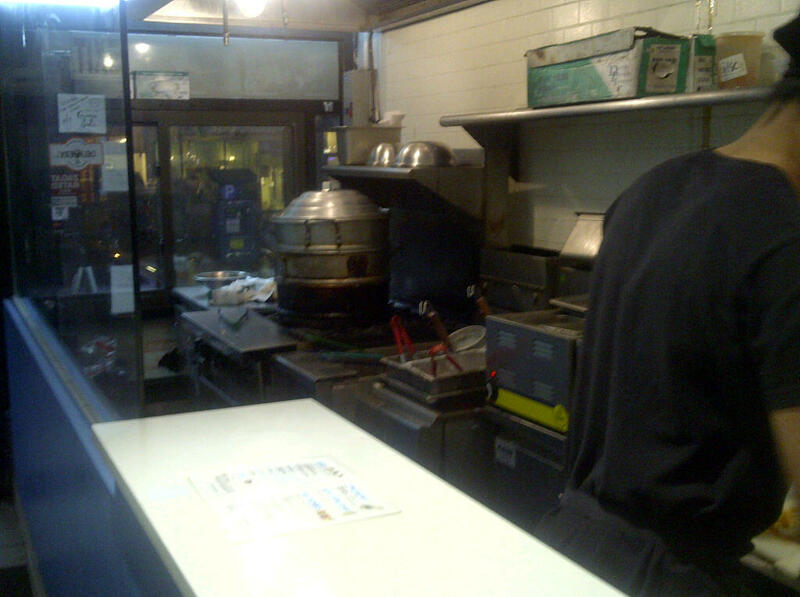 The kitchen - that steamer in the back looks just like one my grandma had! 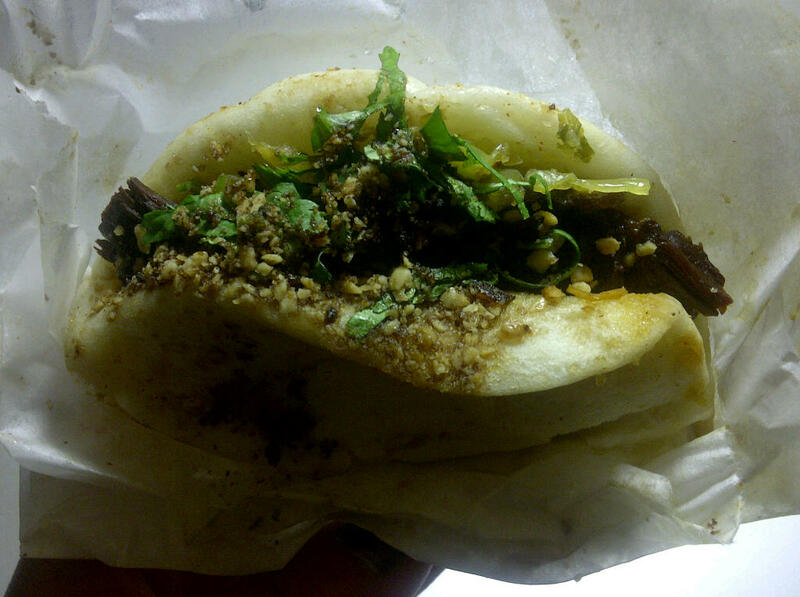 Baohaus serves an updated version of the traditional Taiwanese “gua bao” (also called the “Taiwanese Hamburger”). 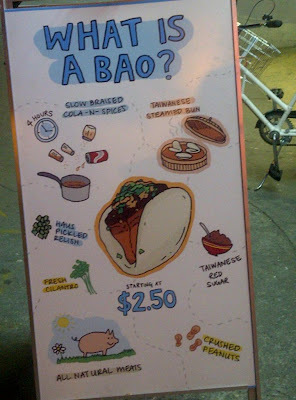 Whereas the traditional bao is served with pork, Baohaus offers different filling options including beef, tofu, veggie, etc (and pork of course if you would like). They recommend 2-3 per person so of course that meant I ordered 3, along with a side order of Taro Fries. 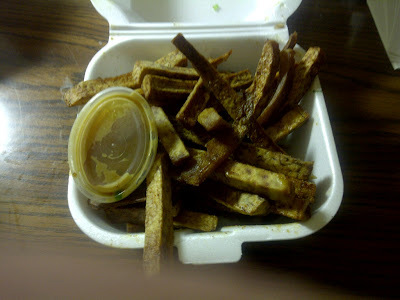 The Taro Fries were simple fried strips of Taro. And it was good! The taste kind of reminded me of Sweet Potato Terra Chips, but tastier. They were very crispy so if you like soggy fries, this is not for you. The fries were a touch dry, but after I had a couple more I really enjoyed how it didn’t leave me feeling greasy. Beware: the seasoning definitely has a kick to it – spicy! Now onto the main event: my baos! 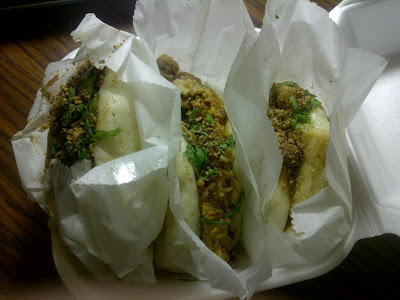 I ordered the Haus Bao (beef), Uncle Jesse (tofu), and the Birdhaus Bao. 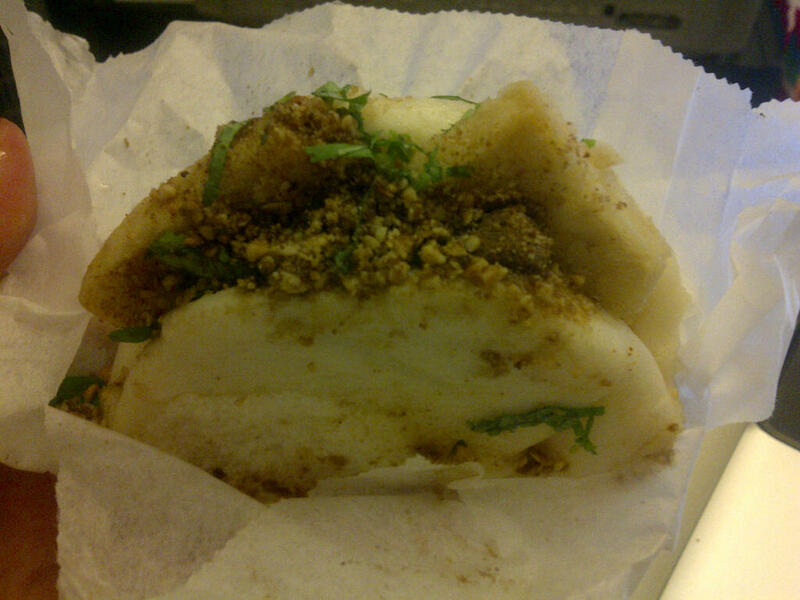 All the Baos came on a warm, soft, and freshly steamed bun. Haus Bao (beef with peanuts, cilantro, Haus relish, and Taiwanese red sugar) – The beef was tender and the Haus relish (sour pickled vegetables) were perfect. Flavor was reminiscent of Taiwanese beef noodle soup! Best part of all – Baohaus seems to have reduced their prices since the last time I went! They now average around $3 per bun. With their new prices and convenient location, I’ll definitely be stopping by Baohaus more often when I’m looking for a quick fix.